Last week, a bill banning the shackling of incarcerated women during childbirth passed through the Florida legislature. As a Black woman, this both infuriates and saddens me. As a midwife, health educator and mother of three, I have given birth, as well as helped many families welcome their babies into loving arms. It baffles me that we, as a society, allow the horrific practice of shackling to continue without more outrage. Anyone who has had a baby, or has been a witness to the experience, knows that in labor and birth, we must walk through the fire of who we are to become who we will be as mothers and parents. This journey is challenging and fulfilling, scary and exhilarating. It means different things to different families, but what it should not signify is torture and humiliation. As we, birth activists, kept late nights and early mornings working on this bill from Miami, Fl, a colleague who is also one of my dearest friends, Paris Hatcher, Executive Director of SPARK Reproductive Justice NOW, was working on a similar bill in Atlanta, Ga. It became kind of a race between the two of us to see which of our states could secure this basic human right for women first. Of course, we had hoped that both of our bills would pass this session. Although it’s unfortunate that it takes such a horrific practice to get positive support for a birth and reproductive justice issue, I’m beyond delighted to have wins to celebrate in today’s political climate. Wow! So thankful for this progress! I am a doula in Minneapolis, and work with a doula program called Isis Rising which works with incarcerated mothers. 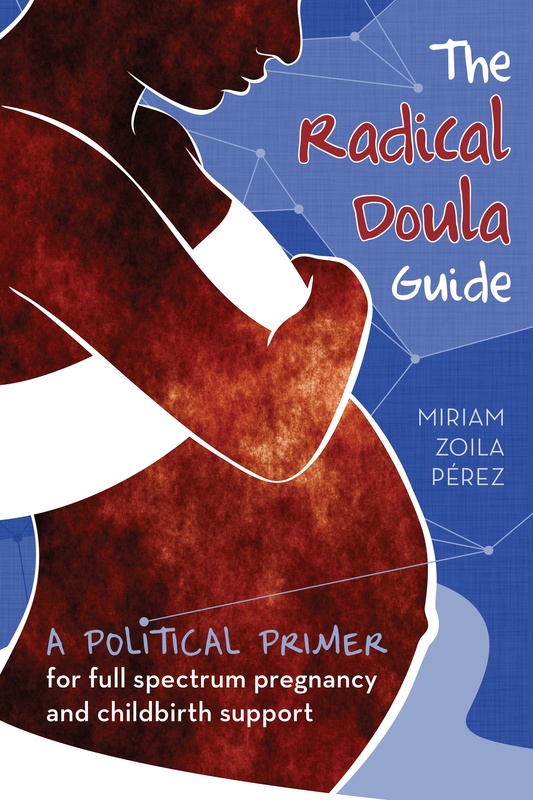 (I recently wrote about it here: http://hopethedoula.blogspot.com/). The mothers I work with are not shackled during the birth process, but there was a time that they were. I cannot even imagine what this would be like. I hope that we will only continue to make forward progress in this area. More people need to be aware of what incarcerated expectant mothers go through! Such a tremendous amount of work and struggle for such a minimal concession to a basic human right. Oh, Florida. Now we need a special license plate that says “Yay, we barely got a toe out of the primordial ooze of patriarchy and authoritarianism!” It could be our 942nd special license plate. My daughter wrote a letter to the chair of the Florida House Justice (quotation marks needed) Committee and called and read it to his voicemail the night before the final vote. She opened with “Dear Mr. Government” which is completely awesome, but had a line in there saying “pregnant women shouldn’t have to suffer in chains!”. Straight from her budding 8 year-old firebrand soul. A proud moment for me amidst the somber work on trying to get this bill passed. Here’s to the future generation!